The Everything Workplace Profile® is a 23-page personalized profile resulting from an online self-assessment. 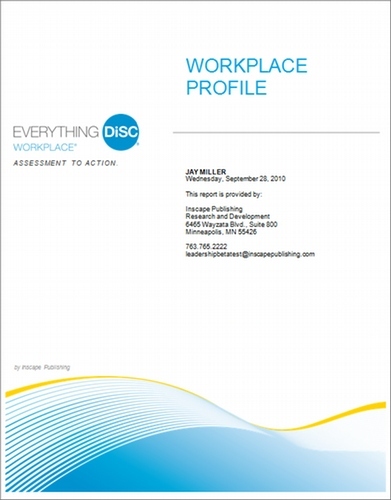 The Everything Workplace Profile® is a 23-page personalized profile resulting from an online self-assessment. 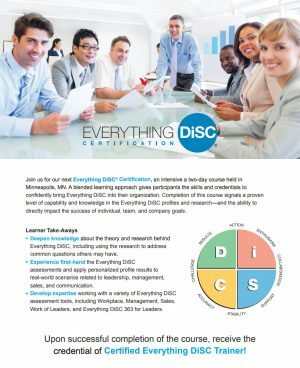 Both the profile, which includes numerous customized strategies, and the online self-assessment are distributed through EPIC, an online system for purchasing, distributing, and reporting web-based assessments. 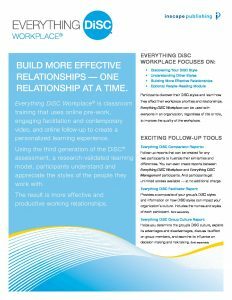 The Everything DiSC Workplace® Profile helps build better relationships — one relationship at a time. 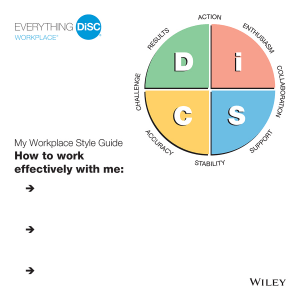 The Everything DiSC Workplace Profile is designed to be used with the Everything DiSC Workplace Facilitation Kit. 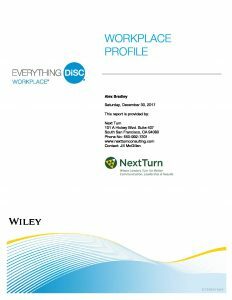 In-depth: Research-validated online assessment with 20-page workplace-specific profile helps people identify and explore the priorities that drive them. Easily Customizable: Online tailoring options make it easy to remove or rearrange pages, customize the profile title, or print selected sections. The profile may be used on its own or with the companion facilitation; sold separately. 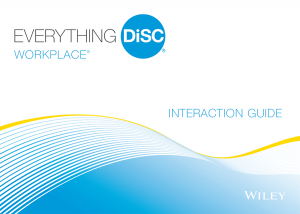 This report is available on the EPIC platform. EPIC, or Electronic Profile Information Center, is an online system which offers you an easier and more cost-effective solution to purchasing, distributing, and reporting of web-based assessments. For more information about EPIC, see the About EPIC page.